Easily worn with other face / head PPE's. Breathing Resistance Inhalation - 1) @ 30 lpm < 60 Pa. 2. @ 95 lpm < 210 Pa. - Exhalation - @ 160 lpm < 300 Pa. 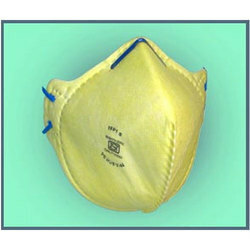 It is FFP2 s deluxe cup style respirator and is 9473:2002 approved. With net reinforcement for shape retention over extended periods. One way exhalation vent valve for breathing comfort. Adjustable textile braided double elastic head bands, stitched outside filter area to prevent leakage. filtering efficiency above 94%. 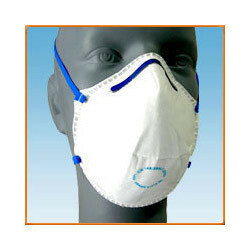 We are among the most sought after companies for providing Venus Cvn95 N95 Swine Flu Mask to our most important clients. These are available in intricate design, could be easily worn, prevent from infection and give effective results as compared to others. These Masks are designed by expert professional and enriched with sharp edge technology. 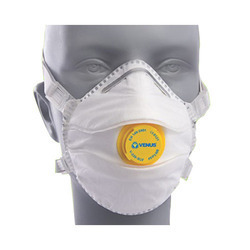 Our company is instrumental in offering a customized and precisely designed Venus Cvn95 N95 Swine Flu Mask to our valued patrons. 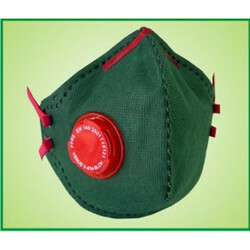 This mask provides protection against H1N1 Influenza, Bird Flu or Swine Flu. The anti-pollution mask offers screening from the inhalation of nuisance dusts and odors associated with vehicle exhaust emissions. The filter used in the mask, has been specifically developed for filtering a wide variety of nuisance dusts and odours commonly found in major cities. The exhalation valves allow unwanted heat, carbon dioxide and water vapour out ensuring comfort as well as function. Activated absorbent filter for nuisance level of HF-AC odour below TLV. Double elastic head bands for comfort fit on different face contours. Filter only be used in combination with half face-piece VENUS V-500. GAC helps in chemisorptions of the contaminants. GAC is impregnated with certain chemicals. 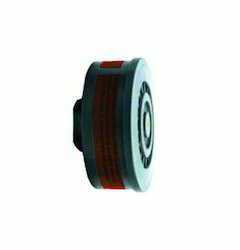 Packed with special technique to avoid air gap, which enables optimam use of the Filter. Specifically made for resistance against acid. 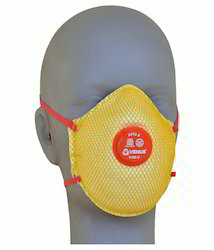 Adjustable bids provided to make the respirator fully adjustable on everybody's face. 80% Protection against fine dust. 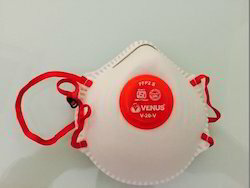 We are a noteworthy distributor of supreme quality Venus V-44 Face Mask. 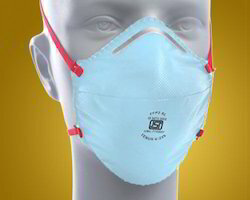 This mask is widely used at hospitals to protect against airborne infections. 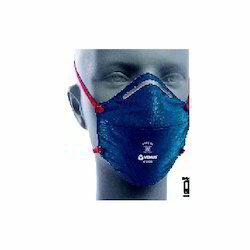 Offered mask is manufactured using quality assured basic materials and latest technology at our trusted vendors end. Moreover, every mask is checked by our experienced professionals before delivering it to the door steps of our clients at affordable prices. 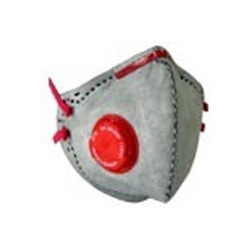 These respiratory systems is designed with metal nose clips which provide high strength and diverse fit to the noses. The edges of these masks are welded with low spillage of carbon which provide tight fitting on the face of the wearers. The use of granular activated carbon gives more surface area and excellent adsorbent capacity. With several sizes these are also offered with logo and prints. Welding, battery, brazing & working with molten metals, ceramics, distillation & breweries,drilling, dyes & dyestuffs, ferrous & non-ferrous metallurgical industries, fertilizer, foundries, glass etching, grinding, leather tanning, paint & pigments, power generation, petrochemicals, printing, sanding, soldering, tyre, processing, etc. 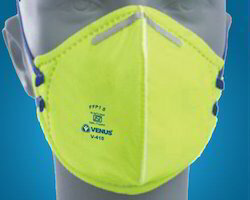 Venus V-500 Facepiece Respirator in soft TPE material(Thermoplastic elastomeric) in grey colour. Produced from non-allergic, Soft & odourless material to ensure high comfort. Easy to use & well balanced. These products are available in the market at industry leading prices. 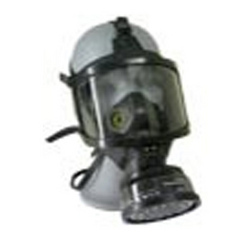 This range of face-piece respirators is made of superior quality soft Thermoplastic materials and is offered in grey color. These are soft, non-allergic, odorless and highly comfortable. These are easy to install, well balanced and very economic to afford. 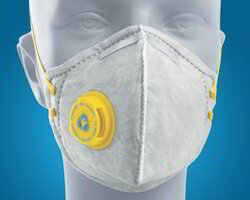 With complete protection from chemical dust, impurities and other harmful elements these masks are high in demand. 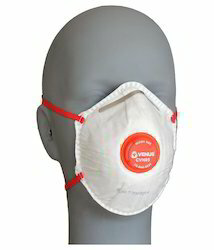 N 95 Niosh Respirator offeredfinds use as a device for providing suitable protection to wearer from inhaling fumes, vapors, harmful dusts/gases and can be made available in different size options to choose from. 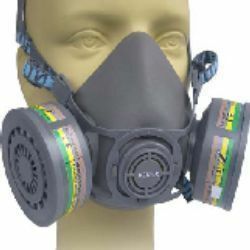 Finding use in private industry, by public and other areas, these are single-use respirators as well as can be made available in reusable model options with provision of replaceable cartridges. Some of its features include available under categories air-purifying respirator and air-supplied respirator; support effective reduction/elimination of noxious airborne contents; provide reliable worker protection; high filtration efficiency against solid and liquid aerosols. 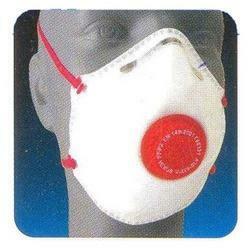 This range of respiratory masks is light in weight, comfortable and easy to use. The major advantage of these masks is that they can be reused again & again. 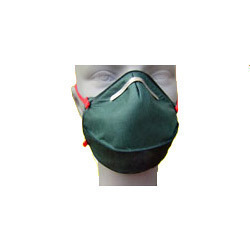 Made of premium quality neoprene, these masks are offered in black color and can protect human respiratory system from dust, chemicals and other impurities. 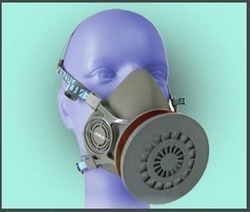 They provide fresh air in a continuous fashion by purifying the contaminated air. 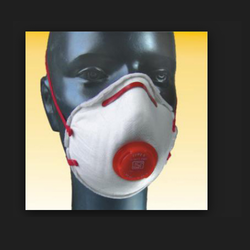 We are leading supplier & distributors of Venus Masks Anti Pollution With Activated Carbon V2424 Mask. Looking for Venus Face Masks ?